Similar in form and finish to 205 West Margaret Lane, the two-story, side-gabled house is two bays wide and single-pile with a wide, one-story, shed-roofed rear wing. It has plain weatherboards, six-over-six wood-sash windows, and a 5V metal roof with an interior brick chimney. It has paired windows on the right (west) end of the façade and a window and nine-light-over-two-panel door in a single cased opening on the left (east) end of the façade. 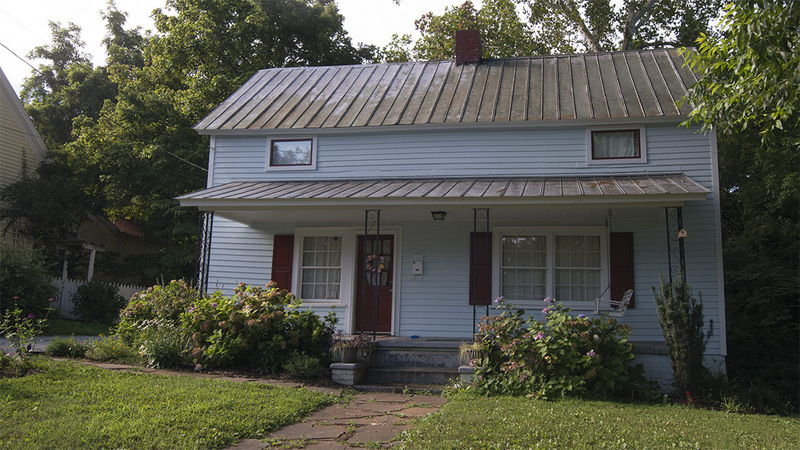 They are sheltered by a near-full-width, shed-roofed porch supported by decorative metal posts. The second floor has small, fixed windows on the façade and six-over-six windows in the gables. There is a small shed-roofed section beyond the large shed-roofed wing with German-profile weatherboards and an open porch at the left rear (southeast). The house appears on the 1911 Sanborn map.